Clematis 'Nelly Moser' is still the market leader in the striped varieties. Large pale mauve/pink flowers with a deep purple-pink stripe are produced during May and June. 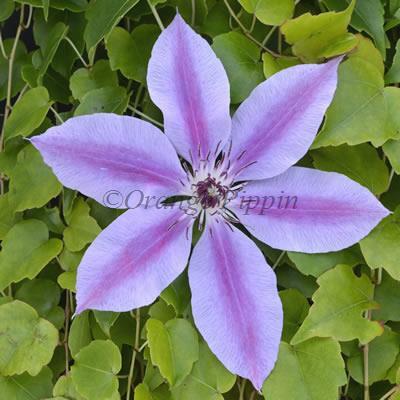 Clematis 'Nelly Moser' was raised by Moser of Versailles, France. 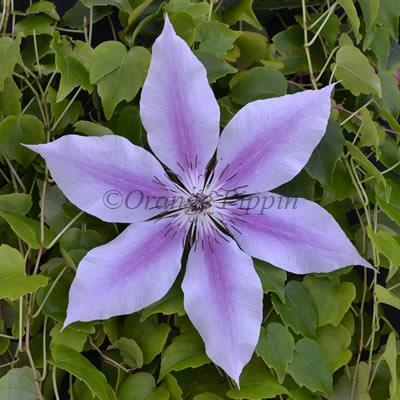 This Clematis is best planted out of full sun to help prevent the flowers from fading.